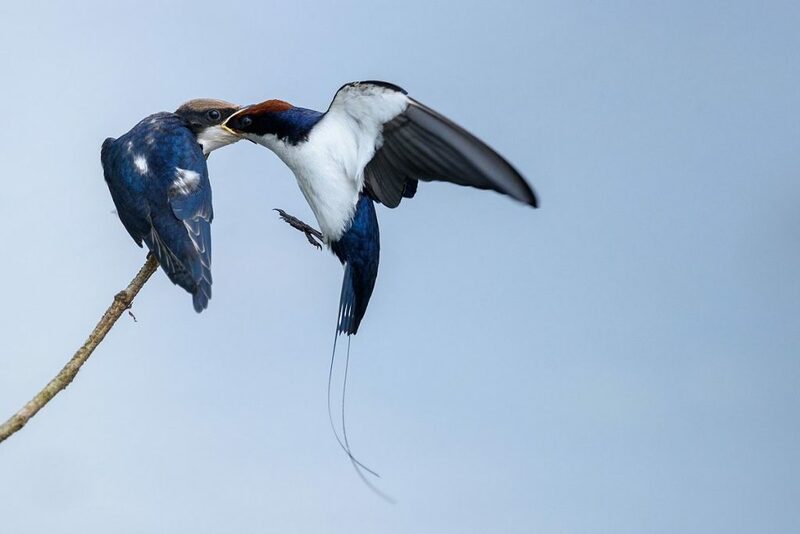 This beautiful swallow, native to sub-Saharan Africa and southern and southeast Asia, is very similar to our barn swallow except for its two wire-like tail feathers and its preference to live near water. 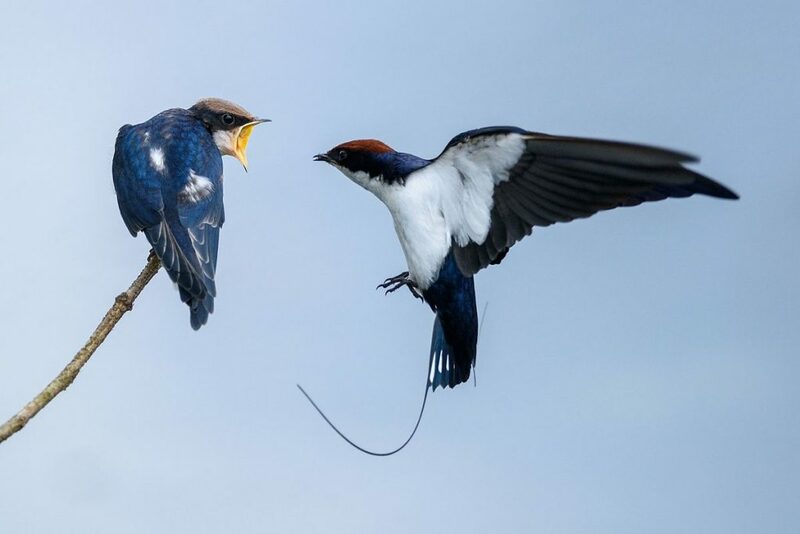 The wire-tailed swallow’s (Hirundo smithii) family life is similar, too. When the fledglings beg for food, the parents deliver it on the wing.